A FreeSync 2 version is reportedly in the works. 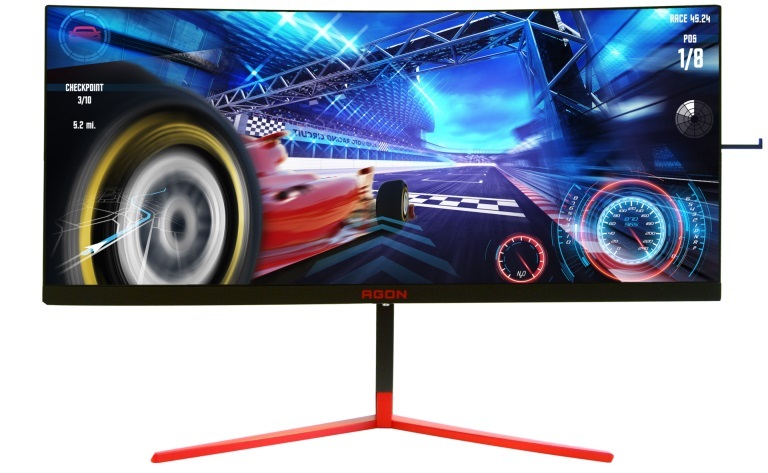 Read more about AOC's 200Hz 3440x1440 G-Sync HDR AG353UCG Gaming Monitor. Wow that's impressive. I'd probably just run in 10bit 144hz mode personally. I wouldn't hit 200fps in any game I play at that resolution and color accuracy is important to me. I would get this. An upgrade from my Dell 34*UW @80hz. 144hz is enough and will strugle to run on a 1080ti. When I bought my UW it was the best buy in years.... can never go back now. Note that I do have a 2k/144hz monitor as a secondary for fast FPS games. I surpass 144hz easily on any frostbite engine run game. Mainly because of SLI, but this one is very tempting that is for sure. They aren't top, but definately good bang for the buck. These days I would opt for AOC over Asus monitors. They have been getting some good position in charts around the world over the years. e.g. 3rd in 2017 best monitor by PCworld. Top 200 best tech companies in 2006 etc. so I wouldnt rule them out as a good replacement for your current monitor. Given my experience with both AOC and Asus, I would certainly opt for AOC any day of the week over an Asus monitor. If I was given the choice between an Asus 4k 144hz with G-Sync and a AOC 1080p 60hz monitor, I would quite happily take the AOC because from my experience there would be no issues with it for 10 years plus, compared to the Asus monitor which would have issues from either day 1 or from 12 months onward, which again based of my experience would not be dealt with by Asus. My dad uses my 27" AOC 1080p monitor and I use my Asus 4k monitor, and if it were not for the fact that my dad hates my 4k monitor, I would have swapped them round but given his eyesight issues it would be unfair to him. Asus to me has gone downhill over the last 10 years, the quality and customer service has plummeted whilst prices have sky rocketed.